All 27 sufferers in Canada who consented to be participants in this study will receive their kits very soon. Just wanted to give you an update on the status of this project. The urine collection kits have now been sent out to the participants. I will keep you updated when all samples have been received. All 27 sufferers in Canada who consented to be participants in this study will receive their kits very soon. Please make sure you follow the instructions carefully in order to obtain accurate results. MEBO requested from the lab that each participant of this pilot study receive his or her own results report, even though the data probably would not mean much initially. We don't know for certain whether this will be the case. The results may have noteworthy meaning only after the study has been underway for quite some time and after all participants' results have been compared to the control group of subjects who do not have breath/body odor conditions. There is no guarantee that there will be any significant data since this is an exploratory study, but we sure hope there will be data that will ultimately help sufferers, especially those who tested negative for TMAU and have no other recourse. Let's hope and pray that this metabolomic study will help many sufferers around the world for years to come. Updates to this program will be posted in this blog as they are provided by the research lab. 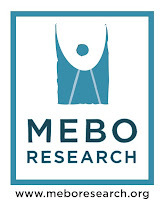 MEBO thanks all the participants of this study who have made this possible.